More and More entertainment: 2 additional acts that have been brought in for the new night time entertainment offerings have begun testing at the park. 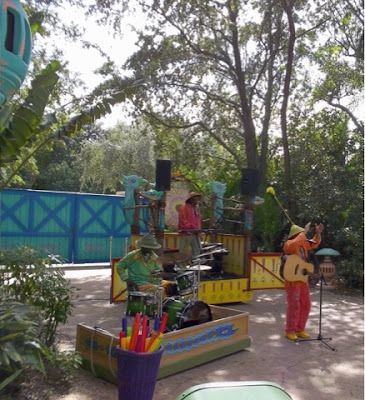 You will be able to see Kora Tinga Ting in Harambe and the Sunset Sarenatas on Discovery Island. These acts are not on the schedule as of yet. They are both harpists and from what I have seen, a bit on the new age-y side, if that's your thing. 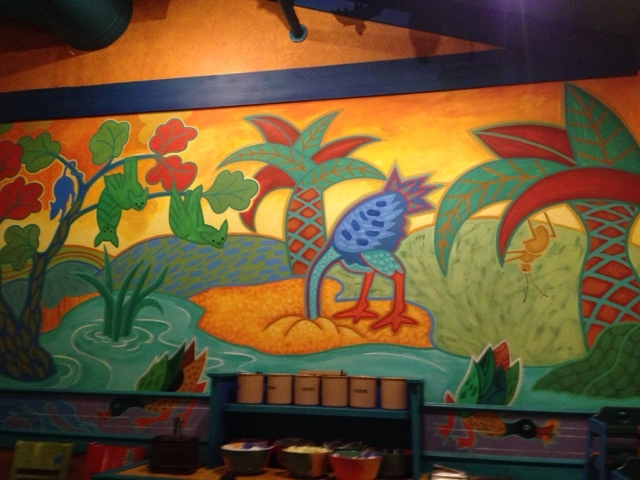 New items at Pizzafari: There is a comprehensive review of Pizzafari, which recently reopened, over that the Disney Food Blog. The review focuses on some of the new flatbreads as well as the shrimp on a lettuce bed. Pizzafari was always my least favorite quick service at the park, but the quality has definitely been improving over the last year or so. It remains one of the most pleasant buildings to sit in though.